Home / BlogEvents / Multi-Vitamins Have Been Called A Waste Of Money. We Say When Properly Used, They Are Not A Waste. [caption id="attachment_855" align="aligncenter" width="900"] Recent studies claim multivitamins are a waste of money. That’s true, IF you use low-quality vitamins in your study, and you take them for purposes they’re not intended for. [/caption] You may have seen some press lately about studies that say multivitamins are a waste of money when it comes to matters of heart health, or other issues like fighting cancer, or staying free from disease. Many doctors also tell patients that vitamins are a waste of money and only create expensive urine. We don’t subscribe to this thinking. High Quality Vitamins ARE Beneficial. Low-Quality Ones Full Of Fillers ARE NOT The truth is vitamin supplements are very beneficial for most people. We know this is true because, after decades of being in this business, we’ve helped countless people heal and overcome physical problems when doctors had failed. Regarding one study saying there’s no beneficial links from multi-vitamins when it comes to heart health, we wish to point out that multi-vitamins are intended to boost overall health benefits. They were never meant to be recommended strictly for heart health. Or for fighting anything else. Over the years, we’ve done a number of emails and posts regarding specific nutrients that are designed to boost heart health. The studies did not touch on this. So if heart health is your main concern, we’ll be glad to steer you to the right products after finding out a few details about your individual health situation. Another important point is that no benefits from vitamins are possible unless you purchase higher-quality ones produced by reputable manufacturers with proven records. We’re sticklers for that detail, and you won’t find any junk vitamins in our store. We also like to stress that this point was thoroughly ignored in the recent studies we saw. Those sources of confusion include an editorial and two deeply flawed studies that were published in the 2013 Annals of Internal Medicine concluding that multivitamins are a waste of money because they do nothing to prevent disease. These studies and the opinions expressed in the editorial are misleading and dishonest. An estimated half of all Americans take vitamin and mineral supplements, and multivitamins amount to about half of all vitamin sales. The so-called experts behind this recent research are urging people to save their money and abandon use of these supplements. Without getting into the flawed methodology used in these studies, there is a major reason the multivitamins were guaranteed to not show benefits. The products used in the studies were low-dose, low-quality multivitamins that could not be expected to produce beneficial results. The studies were doomed to fail from the start because high-quality vitamins were never used. One study used a popular vitamin brand that contained 75 mg of vitamin C, an amount so inadequate that it is highly unlikely to show measurable health benefits. Minerals such as zinc, magnesium, copper, manganese, and calcium were all in chemical forms that offer low biological activity and minimal benefit. The vitamin E was in a synthetic form that is known to be poorly utilized by the human body. The B vitamins did not include the most biologically active forms, and the vitamin B12 was in the form of cyanocobalamin, an unnatural molecular form that is known to have low biological activity and to even have toxic effects. Make Sure You Know Who You’re Buying Your Vitamins From As with many low-quality vitamins that you may end up with if purchases are made from unknown sellers (especially those lurking online, or on sites such as Amazon or eBay), one or two of the brands used were loaded with fillers. Some of those fillers are even known allergenics such as corn starch and modified food starch. Plus, some contain toxic talcum powder and artificial colors (FD&C Blue 2, Red 40, and Yellow 6) with a lengthy history of toxicity. Also present were the allergenic and toxic preservative sodium benzoate, along with BHT. BHT has been banned in other countries, including England, Sweden, and Australia. It is simply not possible for such these particular vitamins, as formulated, to prevent disease. When studies that involved these particular vitamin brands failed, the researchers incorrectly concluded that all multivitamins are a waste of money. The only scientifically-valid conclusion is that low-quality multivitamins are a waste of money. 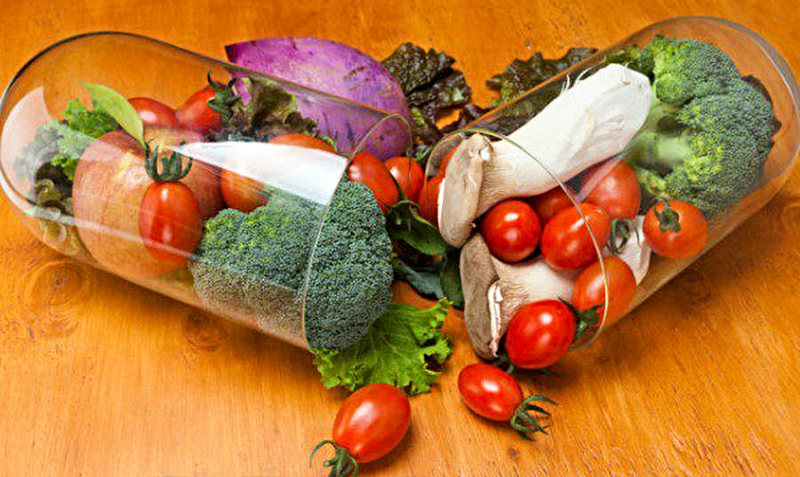 Thousands of studies prove that vitamins prevent and reverse disease. Properly designed multivitamins are an excellent source of nutrients to fill the gaps in less than perfect diets. Doctors Who Dismiss Vitamins Could Learn A Few Things Doctors as a whole in the United States live to an average age of 70. That’s less than the average population. Maybe that’s because maximizing the benefits of nutrition and vitamins requires a complex understanding of individual patient needs, and their unique physical conditions. While doctors know a great deal, many still haven’t gained that full understanding of how to get the most out of nutrition & vitamins. We feel they could learn a few things from us. If you haven't been feeling your best lately, stop in to Nature's Pavilion and talk to Steve for advice. He's usually here weekdays from 11am-on. We’d really like to help you feel better!